A BLESSED FEAST OF ST. BRIGID OF IRELAND TO ONE AND ALL! To be drinking it through time eternal. 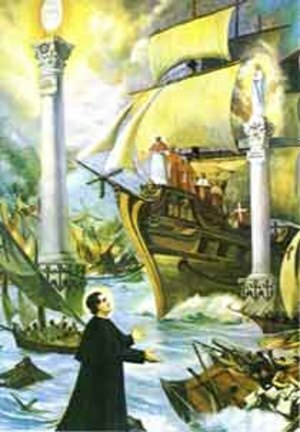 Of heaven there from all parts. Her eternal flame burnt for 1000 years at her monastery in Kildare, and even today, her presence is felt throughout the land of Ireland and Scotland. 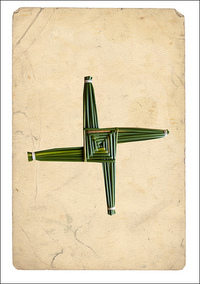 St. Brigid's Cross, made of rushes, protects the home against harm, especially fire. A toast to you St. Brigid, for reminding us that the winter will never last and the King of Spring will return at Easter to remind us that Resurrection and Light are our destiny, never the dark nor the night!